Quality gloss satin shoe with covered toes, open top with adorned glitter edge. 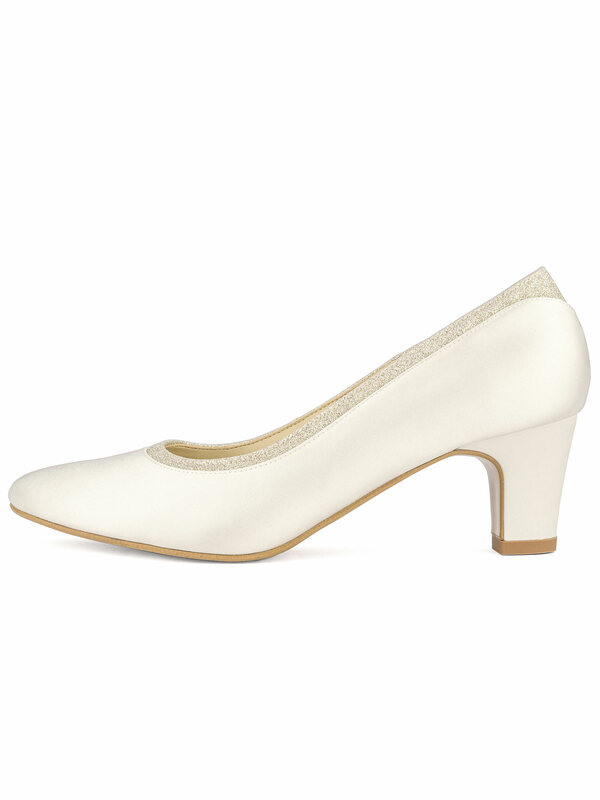 This bridal pumps is designed by acclaimed EU cobblers. 6 cm high heels with full lining, extra soft foam sol. Combine the pumps with gowns or formal dress, suitable for wedding events. CAUTION: sizes are usually smaller than regular sizes.